"This computer doesn't have VT-X/AMD-v enabled. Enabling it in the BIOS is mandatory"
and according to older threads, getting Docker to work may not work with VirtualBox because of lacking nested virtualisation support (this may be old). where notice that "This computer doesn't have VT-X/AMD-v enabled. Enabling it in the BIOS is mandatory" and "Hyper-V is not installed.". How can I get Docker working in Windows 10 Pro with the host OSX and Windows 10 virtualised in Parallel software of OSX? Instead of using BootCamp, use a virtualization system running on macOS such as VMware Fusion, Parallels, etc. You can use nested virtualization to run the Docker containers using Hyper-V on Windows that way. I cannot see anything about enabling nested virtualisation. Not the answer you're looking for? Browse other questions tagged windows virtualization parallels-desktop docker . Can I skip the downloading of the Windows support software if I already have it? Will the new 13 inch Macbook Pro handle running macOS and Windows in a VM simultaneously? I can't install Docker. 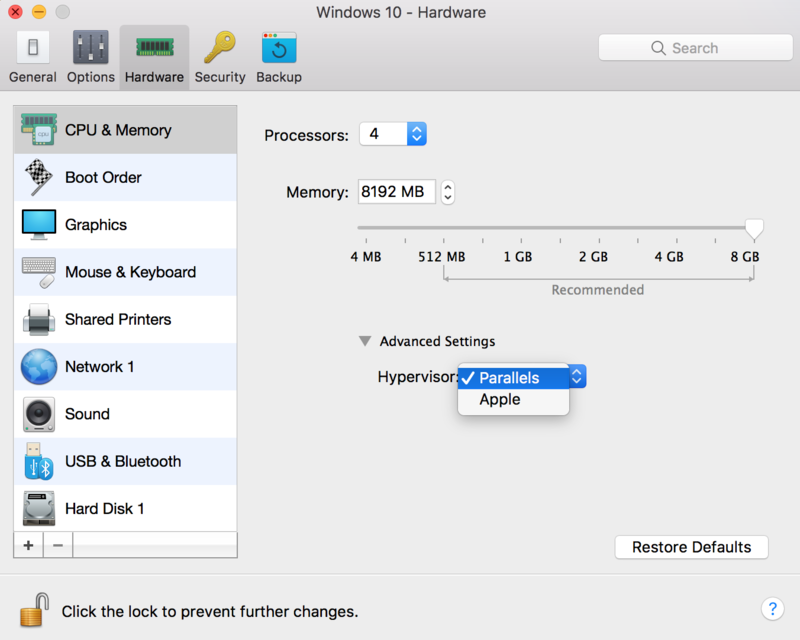 Does my CPU in Macbook Pro 2010, support the hypervisor framework? If so, why does `sysctl kern.hv_support` return 0? What should I do to make the iPhone always remember I have trusted the Windows 10 device?